The Club had a few crews out on this event, but also a lot of people organising and marshalling. 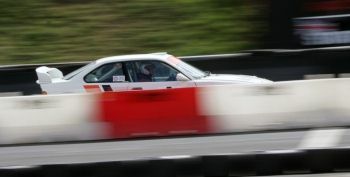 After stage 2 Tinkler/Morton were leading from Chris Anderson/Chris Thirling in the new Fiesta 14 down, with Mark Thompson/Andrew Hutchinson 1 second behind, Jimmy & Kev were 9th, Tony & Paul 10th, Paul & Jo-Emma 16th and the two Macâ€™s 17th. 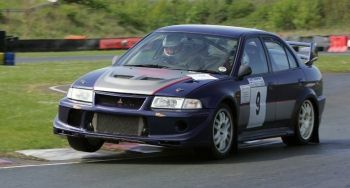 Rumour has it the last time Mac Cliff was in a Rally Car he walked in front of it with a red flag! Well it was a long time ago. Lead positions remained the same after stage 4, with Paul and Jo-Emma now 8th,Paul maintains he had a wrong time on stage 1! Tony and Paul 11th , Jimmy and Kev were 13th and the two Macs still in 17th they were enjoying the stages so much they did an extra lap on stage 3! The Jameson â€“Allens had retired their Renault with clutch problems; Tony Thompson/Paul Hudson also retired the Chevette with fuel problems. Andrew Drake/Jeff Bedford were having gear selection problems, whilst the Fred Davidson/ Plug Pulleyn car was looking a little sorry after a trip through the tyres, Fredâ€™s son Michael also paid a visit to the same tyres. 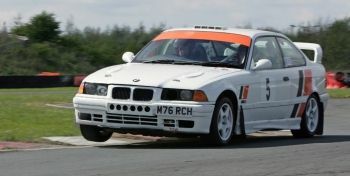 Jimmy Knox/ Kevin Cousins were having trouble keeping the rear of the M3 in check and were seen pirouetting many times! I did hear someone say Jimmy had castors on the back!! 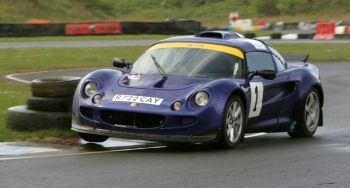 After Stage 8, the first 3 positions remained the same with Tinkler/Morton extending their lead in the nimble Lotus, Thompson/ Hutchinson were 1.17 behind with Anderson on 1:35, Jimmy and Kev were 9th with Paul and Jo-Emma now 10th - Paulâ€™s car did not seem to be running on 4 cylinders! The two Macs in 14th. 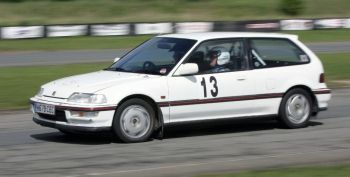 The event achieved its objective as both the winning and the second placed Co drivers (both Club Members I must add) are new to the sport, Jackâ€™s first event was the Jack Frost in January, whilst this was Andrew Hutchinsonâ€™s first stage event. Results were declared final at 15:17. It was a very neat compact event, Ronnie, Tom and the team deserve our congratulations on a well organised event, it is a shame so much effort was put into an event so few competitors had the pleasure to compete in! 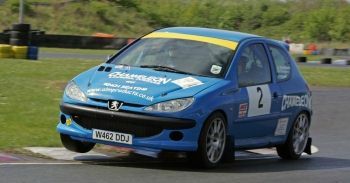 Many thanks to Gordon Bradford for his report and also to Trevor Coulson for his excellent photographs of the event. It was a very neat and compact event and certainly produced a great result for some of our newer members. The Club would particularly like to thank Ronnie, Tom and the team as they not only deserve our congratulations on a really well organised event, but a huge amount of work went into it and it's just a shame so few competitors had the pleasure to compete in it.